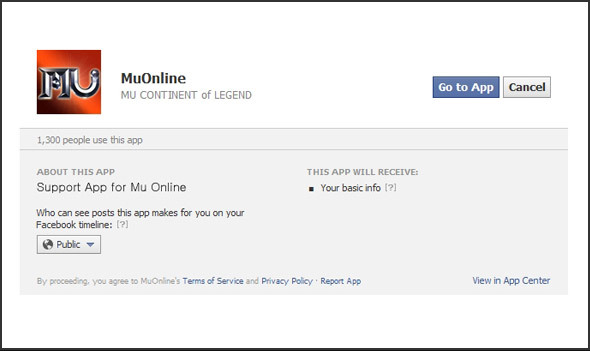 [Guide] User Interface <+> [MU Online Fanz] <+> Official 3rd-party [MU Online] Fan Site & Game Guide! [MU Online] has a lot of user interface on the screen; this is a simple walk-through all of the interface that may be encountered. [Coordinates]: lists the current [Server], [Map], and the characters exact location. From here, you can also switch between servers from the [Server List]. [MU Helper] - Use to assist with combat by automatically attacking monsters. [Buffs], [Seals], [Status Effects]: lists the details of current additional effects bound to the character. [Party]: lists current [Party Members] and their [Buffs] or [Status Effects]. [Event]: click it to view the current information about an on-going in-game [Event]. [Cash Item Shop]: Purchase [Premium Items] from this shop, while still in-game. [Inventory]: displays options to open the [Character Inventory], [Muun Inventory], and [Gremory Case]. [Health Points]: displays the characters current and maximum [HP]. [Shield Points]: displays the characters current and maximum [SD]. [Skill Menu]: displays the [Skill Menu]. [Quick Slots]: displays the characters currently selected skills assigned to [Quick Slots]. [AG Points]: displays the characters current and maximum [AG]. [Mana Points]: displays the characters current and maximum [MP]. [Quests]: displays the [Quest Menu]. [Community]: displays options to open the [Friend Menu], [Gens Menu], [Guild Menu], and [Matching Menu]. [System]: displays options to open the [Play Guide], [Warp Command Menu], [Option Menu], [Connect to SNS] feature, [Private Store Menu], and [System Menu]. [Experience Bar]: displays the characters current [Experience Points], and the total amount need to increase its [Character Level]. The entire bar displayed on the screen represents 1/10 of the total [EXP] needed. The number displayed at the end of the [Experience Bar] represents which "bar" you are on. If a 7 is displayed, for example, it would mean that you have earned 7/10 of the [EXP] needed, plus the amount currently displayed on the [Experience Bar]. Displays the status of currently accepted [Quests]. The [Quest's] status is automatically updated as you progress. A [Quest] is displayed in green if the objective is completed. When a [Quest] objective is completed, you can return to the [NPC] for the reward. A [Party] is a group of players that will share [Experience Points] while fighting monsters. Characters must be close enough together to share the [Experience Points]. Displays each [Party Member], and their current [Buff], [Debuff], and status effects. Displays each [Party Members] current [HP] and [MP]. Displays the [Server] which each [Party Member] is currently logged into. The [Party Leader] will have a crown icon. [Party Leader] can kick any [Party Member]. [Party Leader] must send a request to another character for them to join the [Party]. [Party Leader] can control another [Party Member's] [MU Helper], if the character gives permissions through [Assign Helper]. A character must send a request directly to a [Party Leader] in attempt to join an already formed [Party]. You may automatically move to a [Party Member] via [Party Warp]. [Left Click] or [Alt] + [Right Click] on a [Party Member] name in the [Party] menu. If the character is in a different map, it costs [Zen] (x50,000) to warp to any map. a character must always meet all regular base requirements to enter any map. All characters can use this feature to instantly move to another [Map]. It cost [Zen], as a fee, to use this feature. Most [Maps] can be entered for free, if you choose to walk there instead. Each [Map] has a unique [Character Level] requirement to enter, and to use the [Warp Command]. You can set [Favorite Maps] by clicking the check box in the [Warp Command Menu]. [Favorite Maps] will always be listed at the bottom, for easy use. Up to 5 [Favorite Maps] can be set; uncheck any check box to remove a [Map] from the [Favorite Maps] list. The [Maps] on the list can be sorted by [Monster Level] or by alphabetical order. Hovering over a [Map] name will display general information about a monster in that area. The cost to teleport to the [Event Square] map is (x20,000) [Zen]. 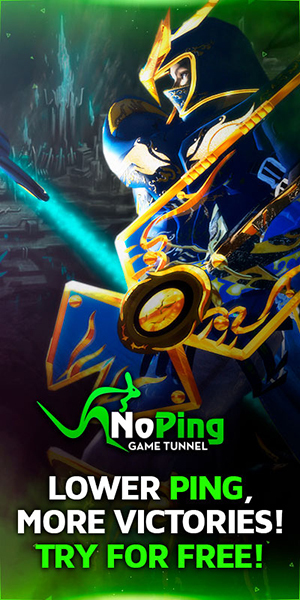 [Battle Core]: used to access the [Battle Core] server. [Event]: displays the character's [Event Inventory]. Press [Enter] again to send a typed message. [Public] chat - anyone can see this. [Whisper] chat - only the sender and receiver can see this. [Party] chat - only [Party Members] can see this. [Gens] chat - only [Gens Members] can see this. [Guild] chat - only [Guild Members] can see this. [Guild] [Alliance] chat - only [Guild Members] and any [Alliance] [Guild Members] can see this. Type the character shown, before your message, to send a message to the desired chat. For example, "~Hi guys!" would send the text "Hi guys!" to the [Party] chat. [#]: makes [Public] chat appear longer, in the game (above the character's head). [Emotes] can be performed by saying key-words in the [Chat Box]. [Emotes] can be performed without displaying chat by placing "/" in front of a key-word. [Emotes] example: "/Hello" will trigger the [Bow] emote, without displaying the chat. You can use these [Chat Box] options by clicking on them. Cog icon: toggles the display of [Chat Box] options. [General]: messages will be sent to [Public] chat. [Party]: messages will be sent to [Party] chat. [Guild]: messages will be sent to [Guild] chat. [Gens]: messages will be sent to [Gens] chat. [Whisper]: toggles the display of [Whisper] messages. [System]: toggles the display of [System] messages. [Block]: opens the [Block] list, where a character can be blocked from sending you any type of messages. Arrow icon: changes [Chat Box] size. Transparency icon: changes [Chat Box] background transparency. The [Gremory Case] stores rewards items from [Mini-games] and [Events]. Items stored in the [Gremory Case] have an expiration date. Items will be deleted if they are not claimed by the expiration date. A maximum of 50 items can be stored in the [Gremory Case]. [Character] storage tab displays items acquired through that specific character. [My Server] storage tab displays items acquired from [Battle Core] servers. These are all the possible functions of interaction with other players. This window also provides a few shortcuts to other functions, like adding a [Friend]. To use the commands, you click one of the buttons in the [Command Menu] and then click on the desired character. [Trade]: sends a request to trade. [Buy]: used to look at another player's [Personal Store]. [Party]: send a request to join, or create, a [Party]. [Whisper]: a shortcut to send a [Whisper] message to someone nearby. [Guild]: sends a request, to the [Guild Master], to join a guild. If the character is a [Guild Master], this function will send an invitation to allow a player to join the guild. [Alliance]: A [Guild Master] can use this function to send a request, to another [Guild Master], to form an alliance. [Hostility Guild]: A shortcut for a [Guild Master] to register another [Guild] nearby as a [Hostility]. [Suspend Hostilities]: A shortcut for a [Guild Master] to remove a [Guild] nearby from the [Hostility] list. [Add Friend]: a shortcut to add a nearby character to the [Friend List]. [Follow]: use this function to automatically follow a character. [Duel]: send a request to a [Duel] (friendly PVP). This smaller [Quick Command Menu] can be opened, as well, by holding the [Alt] key and [Right Click] any character. This window is also the only way to view another character's [Hunting Log], and to [Assign Helper] to a [Party Leader]. [Register Guild]: sends a request, to the [Guild Master], to join a guild. If the character is a [Guild Master], this function will send an invitation to allow a player to join the guild. [View Hunting Log]: opens the character's [Hunting Log]. If the text is grey, then the character has it set to private. [Assign Helper]: allows a [Party Leader] to control your [MU Helper]. The [Friends List] shows their [Online] status, and which [Server] they are currently in. [Add Friend]: enter any [Character Name] to add them to the [Friend List]. [Delete Friend]: removes the selected [Character Name] from the [Friend List]. [Chat]: opens a [Chat Window] with the selected [Character Name]. [Write]: creates an outgoing [Mail] addressed to the selected [Character Name]. [Mail] can be sent to any character, even if the character is [Offline]. An icon will appear when new [Mail] is received. [Write]: creates an outgoing [Mail] addressed to the sender of the selected [Mail]. [Read]: opens the selected [Mail]. [Reply]: creates an outgoing [Mail] addressed to the sender of, and retitled with the same subject as, the selected [Mail]. [Delete]: deletes the selected [Mail]. [Reply]: creates an outgoing [Mail] addressed to the sender of, and retitled with the same subject as, the [Mail]. [Delete]: deletes the [Mail] that is currently open. [Previous]: opens the [Mail], in the same window, which was received immediately prior to the currently open [Mail]. [Next]: opens the [Mail], in the same window, which was received immediately after the currently open [Mail]. [Close]: closes the [Mail] that is currently open. Displays all the currently open [Mail] and [Chat Windows]. Clicking the title of each will toggle its display. [Hide All]: hides the display of all currently open [Mail] and [Chat Windows]. The [Guild Menu] shows the [Guild] name, symbol, basic information, and [Announcements]. [Announcements]: displays important messages that the [Guild Master] has posted. [Guild]: opens the [Guild Menu]. [Members]: opens the [Guild Member] list. [Alliance]: opens the [Guild] [Alliance] list. [Hostility Guild]: opens the [Guild] [Hostility] list. The [Party] [Matching Menu] is used to find a [Party] or find [Party Members]. [Search Party]: displays a list of all [Parties] currently registered with the [Matching] feature. [Find Party Members]: allows a [Party Leader] to register a [Party] with the [Matching] feature. The [Guild] [Matching Menu] is used to find a [Guild] or find [Guild Members]. [Search Guild]: displays a list of all [Guilds] currently registered with the [Matching] feature. [Find Guild Members]: allows a [Guild Master] to register a [Guild] with the [Matching] feature. If you have a [Party] or [Guild] registered with [Matching], you'll receive notifications about members requesting to join. [Hot-key]: [S], while [Inventory] is open. Opened from the [Inventory] via [Personal Store] button. [Tradable] items can be sold in the [Personal Store]. Items can be sold in exchange for [Zen], [Jewel of Chaos], [Jewel of Soul], and\or [Jewel of Bless]. [Tax] is charged to the seller, as a fee, for using the [Personal Store]. [Tax] on [Zen] is [1%] of the total amount exchanged. [Tax] on [Jewels] is [3%] of the total amount exchanged. [Tax] will not be applied if the exchange amount is less than (x17) [Jewels]. If the [Jewel] exchange amount is greater than (x16) [Jewels], at least (x1) [Jewel] is charged for [Tax]. Use the [Personal Store List] to search the [Personal Stores] of any character. [Personal Stores] are only listed if the character is in a [Safe Zone] of [Lorencia], [Noria], [Elveland], or [Devias]. Click any [Personal Store] to open it! Click any [Character Name] to send a [Whisper] message, or create a [Mail] addressed to them. You can connect your character to your [Facebook] account, through an app, to receive notifications about in-game activity. [Connect]: Opens the link to the [Facebook] app in a new window. [Home] button will return you to the main selection menu. The information displayed on the [Play Guide] is basic and not necessarily correct. [Help] button will appear on the screen for new players. The [Help] button can also open the [Play Guide]. [Automatic Attack]: when attacked by a monster, the character will automatically attack back. [Slide Help]: toggles the display of the help information displayed at the top of the game client. [Monster Display]: toggles the display of monster names. [Whispering]: toggles the sound effect of [Whisper] messages. [Name Display]: toggles the display of [Character Names]. [BGM On/Off]: toggles background music on or off. [Mute]: mutes all client sound effects and music. [+Effect Limit]: limits the graphical intensity of items with a high [Item Level].